New opening. I didn’t really enjoy Click until around 3 weeks ago so I guess I will get used to this sooner or later. 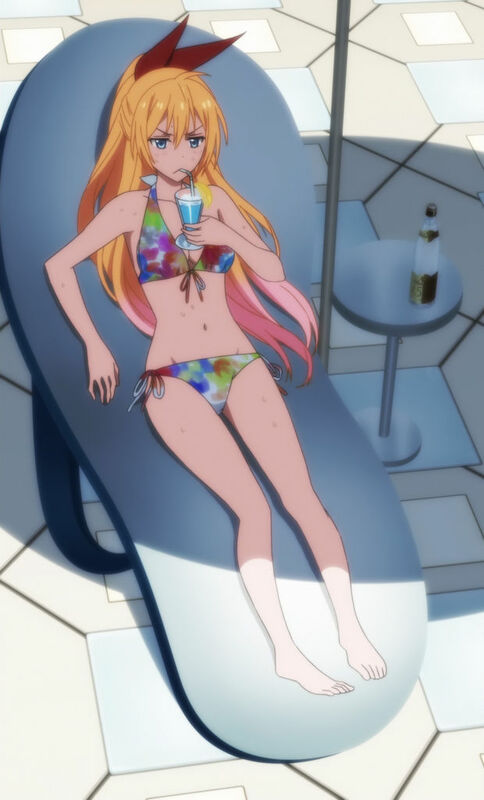 Anyways, the entire episode is once again just Marika getting her side of the story more detailed since we’ve had 13 episodes to get used to Onodera and Chitoge (because does Tsugumi even count at all at this point?). Picking up where we left off with Raku finally remembering Marika as Marie, Marika gives us a flashback. Furthering cementing that she’s in a weak condition, Marika explains that she has spent a good portion of her childhood sitting in her hospital room. On one occasion, her father brings her to the mountains so she could be exposed to some fresh air. There she meets Raku climbing up a tree near the window and the two befriend eachother. 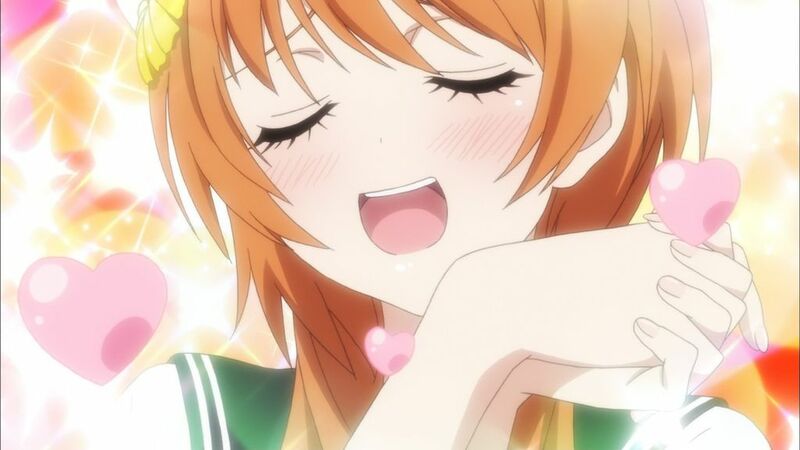 Taking an obvious liking to Raku, she asks him what kind of girl he liked and thus begins her quest to become the literal “perfect girl” for him. She doesn’t seem too mad when Raku’s memory is still a bit fuzzy but she forgives him and hopes to make more memories. The next day, Chitoge and Onodera all get the message saying all four of them knew eachother in the past and they bring out their keys. The only thing we get out of this is that Marika is the only one who remembers the promise as being marriage. Other than that, why multiple keys exist is up in air (and is practically in orbit). The ensuing scene right after about the kiss and everyone’s relationship to Raku did bring to light something for me though. Onodera is definitely involved with the key but she still has not explicitly stated that she’s in love (compared to the one who has to fake it and the one who outwardly shows the fact). Other than that, the scene is played off with Onodera masking her opinion by saying she thinks of Raku as a good friend. Marika once again takes the initiative and has Raku visit her father to at least explain things to him about the whole fiance thing. It sounds easy enough until Raku actually meets her father who looks more imposing than the yakuza members he’s affiliated with. So skip the talking about the scar Raku’s father gave him, the fact that Raku has a girlfriend, and the fact that Raku’s old man hasn’t bothered telling him about Marika up until this point. Marika leaves to prepare tea and Raku takes this chance to say that he’s interested in someone else other than Marika. The old man is however very lenient with the relationship complications. However, he lets Raku off with a “sooner or later” remark. Marika re-enters a conversation with Raku in the hallway and is glad that the her father more or less approves of Raku. She asks once again if she needs to be change anything about herself so Raku will marry her but Raku gives her the “You’re fine as you are” answer. This blows Marika out of the water and she finally has herself a flustered moment. 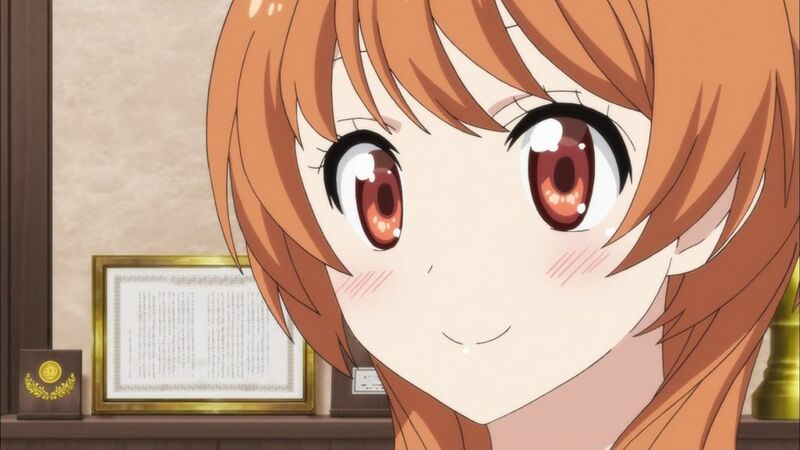 Anyways, Marika is even cuter in the anime so she’s taking the #1 place for me as of now. I mean, you have to appreciate how hard she’s trying compared to everybody else. At least she’s past the point of being flustered the entire time to talk and vibrantly expresses her emotion. That being said, it’s sad since this keeps up for a while. In that point, we’ve had a lot of Marika for the past week so here’s one of Chitoge being angry over Raku.